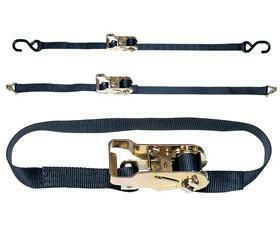 Perfect securing device for pick-up trucks, or even around the warehouse or plant. 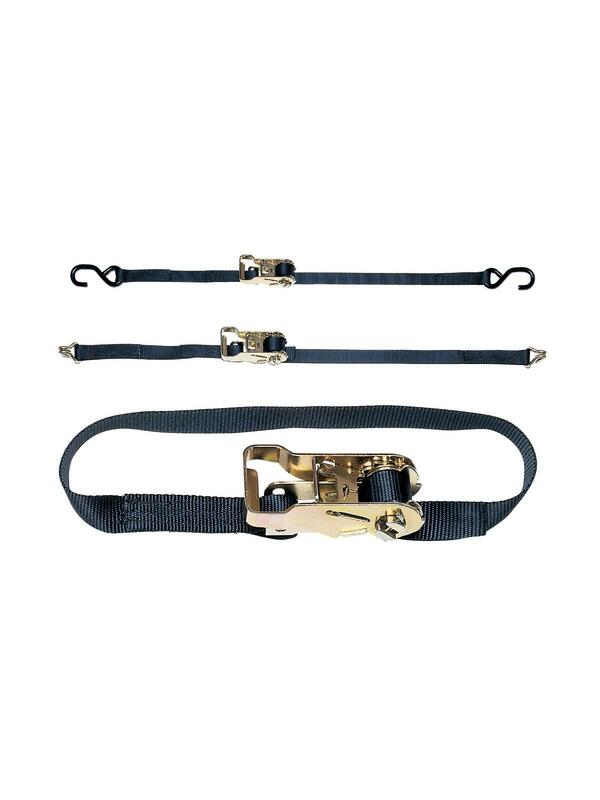 1" wide polyester webbing holds loads from 400 to 1400 lbs. Features easy and smooth operating ratchet assembly. Three styles are available. All slings are measured end to end including eyes and/or hardware. FOB Shipping Point. Note: for Tie-Downs over 12', order the 12' base item and then order item again choosing the option for "Adder per Ft." and enter the number of feet over 12' that you want.